Last year, we celebrated our 5th anniversary somewhere in the Peruvian Andes trekking to Machu Picchu. So when our 6th came around a few weeks ago, we thought we deserved a little more luxury and relaxation this time around. 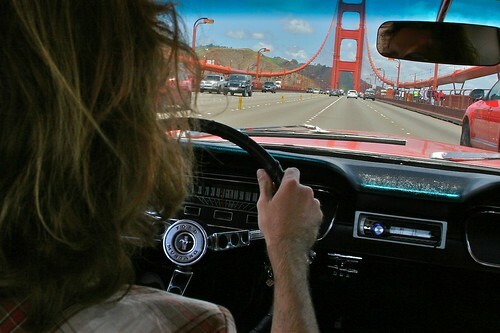 We packed some picnic necessities into a cooler and drove our Mustang to Marin. North of the Golden Gate the Bay Area becomes suddenly wild and verdant. 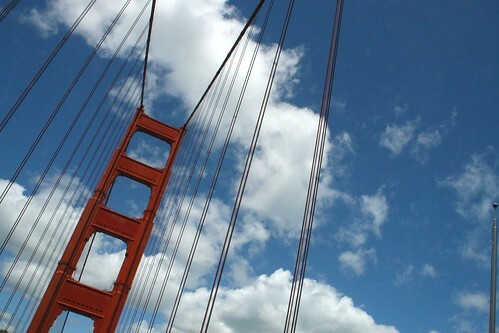 Natural sights include the Muir Woods Redwood Forest, Point Reyes and Mt. Tamalpais. Highway 1 attracts a fair share of bikes pedaling along a stunning rocky coast. It’s actually pretty amazing how far away you feel here just half hour to an hour outside of San Francisco. So a leisurely mid-week drive through these areas will eventually lead to a small town called Point Reyes Station. This would be a pretty great time to pull over. Cowgirl Creamery (of Mt. 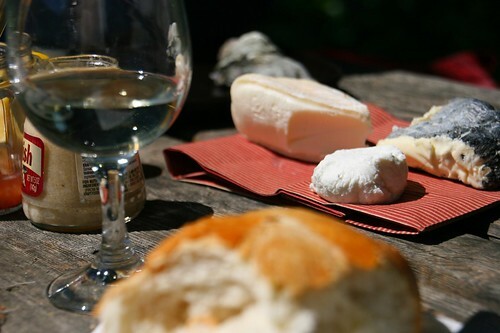 Tam and Red Hawk cheese fame) is located here, ready for your picnicing needs. Bovine Bakery peddles some unpretentious sweets and solid espressos are available in the feed barn from Toby’s (located next to Tomales Bay Foods). The whole shebang gets pulled together with a Hostel and a few sweet B&Bs. It’s a pretty solid plan to come out here for the weekend and hike the vicinity. 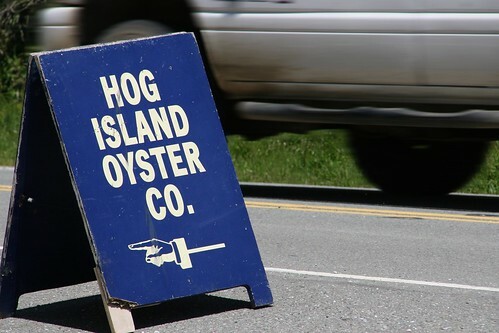 Our destination, however, was just a little further up the road at Hog Island Oyster Company. 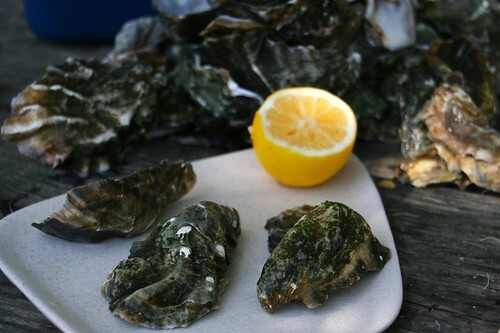 Oysters are best enjoyed in months that end in “R,” because they spawn in warmer months and don’t taste as yummy. We, however, walked up to Hog Island in April — but oh well, Northern California had an unusually long cold Spring this year, right? No Kumamotos when we showed, but it’s probably best not to do those rapturously delicious morsels the injustice of slurping out of season. They did have Sweetwaters on hand, in three sizes. The crew told us that the smaller sizes were better for eating raw while the mediums did better on the grill. To make the whole thing easy we just grabbed a dozen of each and happily paid our cheap-o oyster fee ($12 dozen for the smalls, $15 for the medium). Though there is a picnic area here, it didn’t call out to us. We set course for a pretty little spot about 4 miles south of Hog Island which had three picnic tables on a sunny, wind-blocked overlook of Tomales Bay. 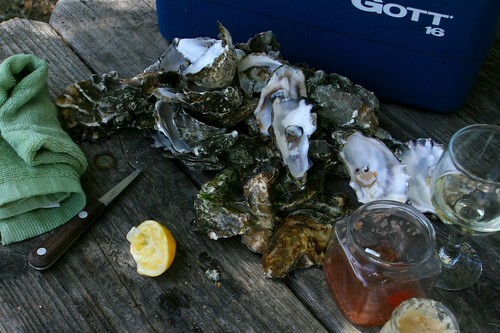 We made a feast of our oyster bounty by bringing along some plates, trays, silverware, napkins, shucking knives, dishtowels (protect your hands while shucking), homemade mignonette, lemon, horseradish, bread, wine, and local cheese. 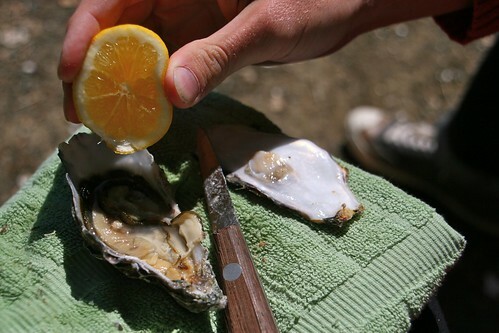 And if our shucking video is a little less than educational, check out Hog Island’s video on how to do it. 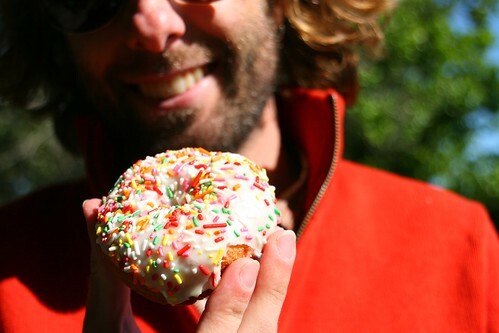 All our Sweetwaters were delicious, flavorful and fresh. I actually think they got better and better the more of them we ate. Aphrodisiac? Maybe. 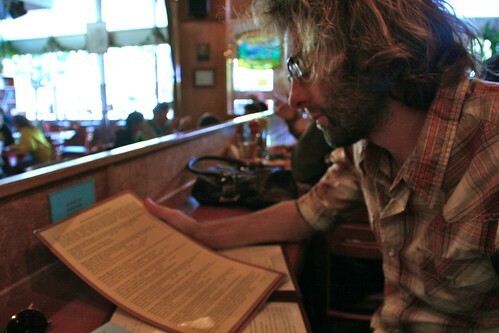 But the last oyster eaten that day was heaven. 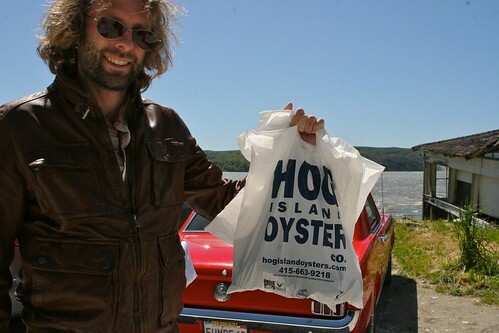 Hog Island, by the way, is open to sell you your bivalve mollusks seven days a week 9-5. Tomales Bay Oyster Co. and Drake’s Bay also operate out of this area. Each excels in something different. So after our luxurious anniversary feast, we headed inland through the redwood forest to Fairfax. Known jointly for being the birthplace of mountain biking and for a mid-1960s softball game between Jefferson Airplane and the Grateful Dead, Fairfax is a unique place. It’s a pretty big town around these parts and there are quite a few spots worth peeking in to in the walkable downtown. 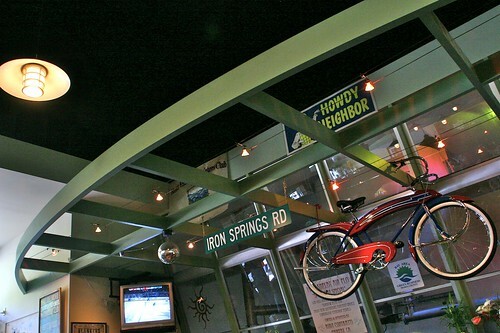 Local Iron Springs Brewery falls into step with the environmentally conscious and progressive community by keeping everything homemade and handcrafted in their restaurant and brewpub. Tuesday nights see a percentage of profits being donated back into the community and live music is featured throughout the week. This place was pretty busy when we arrived — besides a brewpub, the restaurant is quite a neighborhood hub, parents and lots of youngsters had filled nearly every table. The bar stands a bit apart from all the table action, and keeps up more adult appearances. 12 beers were on tap for our visit, with another special brew available from Iron Springs’ cask collection. The suds were pretty good. 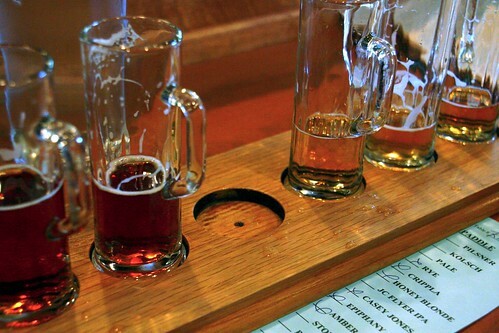 They have a nice sampler paddle which includes 6 of their brews, which we could choose. 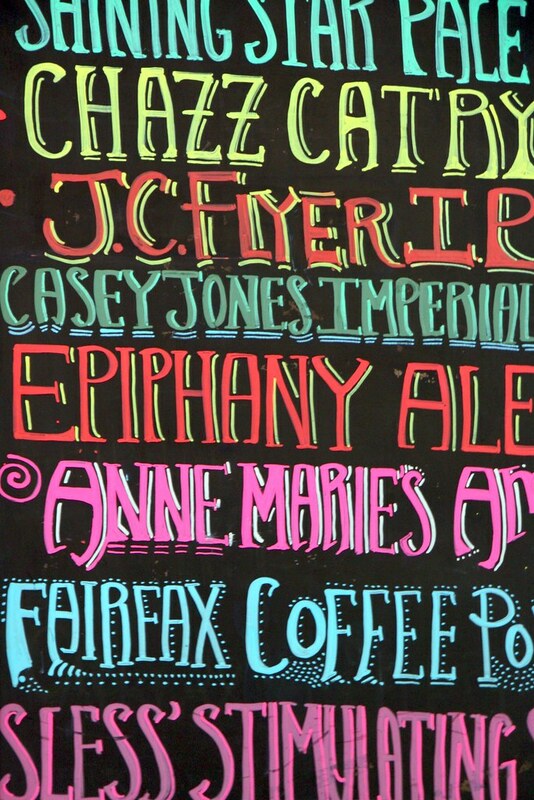 We liked the Chazz Cat Rye and the JC Flyer IPA best. We typically lean towards hoppier varieties, but Iron Springs surprised with some neatly balanced beers getting the most of our attention. As you might expect in a smaller community, everyone, from the patrons to the bartenders, was outrageously friendly. The Bay Area may have lots of metropolitan diversions, but the community spark is in its smaller towns and further-flung areas. 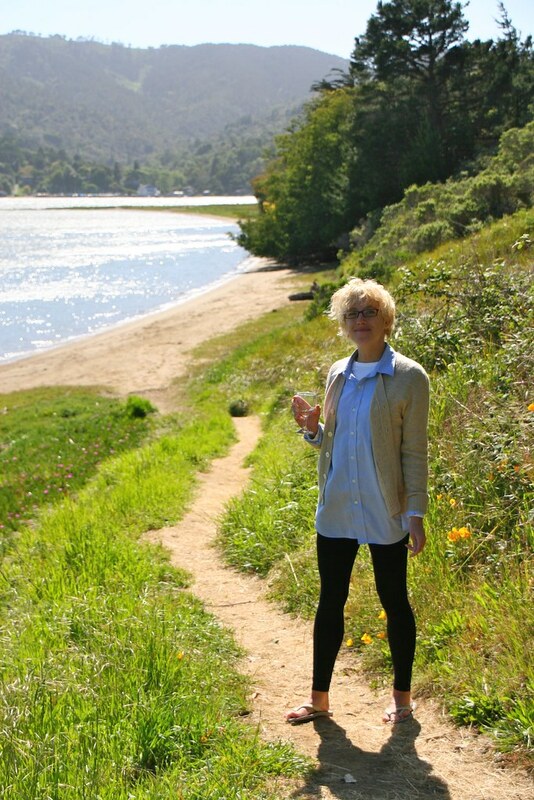 We couldn’t have been more happy with our anniversary picnic in Marin. happy anniversary you two! I loved driving on hwy1 north of SF on our little road trip in February. We drove up to Fort Bragg and it’s amazing to encounter all the small town-ness on the way, and of course the breathtaking scenery throughout! makes me miss CA, especially norcal! Wow! That looks really fun! My friends and I are planning on heading over to Tomales Bay Oyster Company this weekend for a Raw and BBQ’d oyster fest as well! Thanks for the awesome post and pictures! 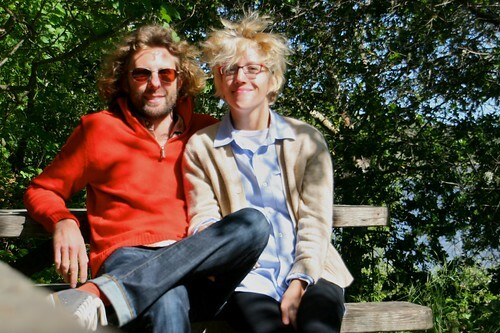 and clearly when you are married for 6 years you officially enter the wacky hair phase of your relationship! either that or you both had the windows and top down from Oxnard to Santa Cruz. wait, i cant remember of the ‘stang was convertable or not. doesnt matter. 180 days counting and i still miss my camaro and the drag race we never had. Happy Anniversary guys! It doesn’t matter where in the world, as long as there’s happiness! Thank you! 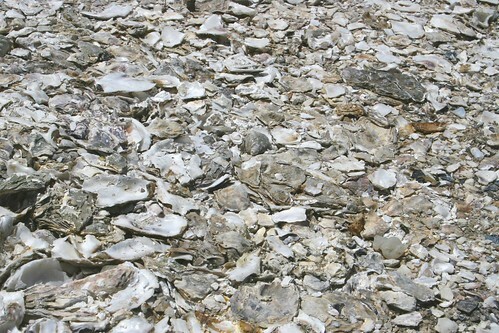 It’s remarkably easy to eat so many oysters!